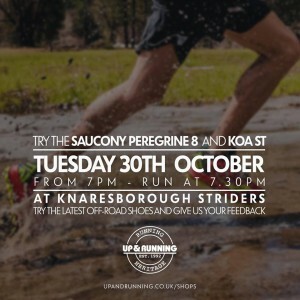 UPDATE: Cancelled – Saucony try-on this Tuesday! Due to circumstances beyond our control, tonight’s Saucony try-on is cancelled. Structured training will still take place at the Cricket club – please wear suitable shoes. 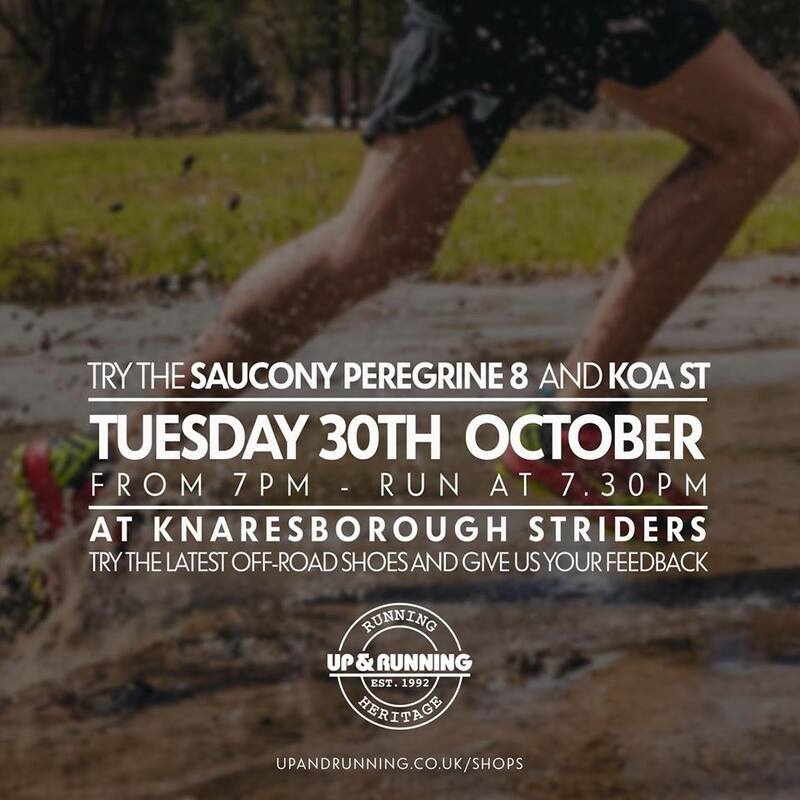 This Tuesday’s training will include the chance to try on Saucony’s Peregrine 8 and Koa ST shoes, courtesy of our friends at Up & Running, Harrogate. Meet from 7pm at the Cricket Club.